“I have thanked Ramapo everyday for preparing me to thrive in this changing world. Ramapo nurtured exploration, reinvention, and confidence; and gave me the tools to succeed. The love of learning that was rewarded and the radical (at that time) notion that students were intelligent and mature sources of ideas fostered my ongoing love of and success in learning and intellectually engaging in the world. 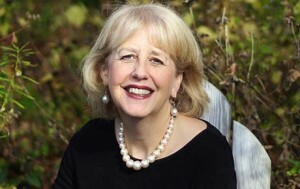 Ramapo is one of the very best things that happened to me and continues to influence my drive, habits and ‘can do’ attitude.” – Carol Sommerfield ’78 graduated with honors with a Fine Arts degree and minor in Music. She went on to the University of New Haven to earn her MBA in Leadership, then to Fielding Graduate University for her Master’s in Organizational Development and Ph. D in Human and Organizational Systems. Currently, Carol is the Owner/Lead Consultant at Frog’s Leap Consulting, LLC.